Clear box with Tokyo style hi-rise signage. 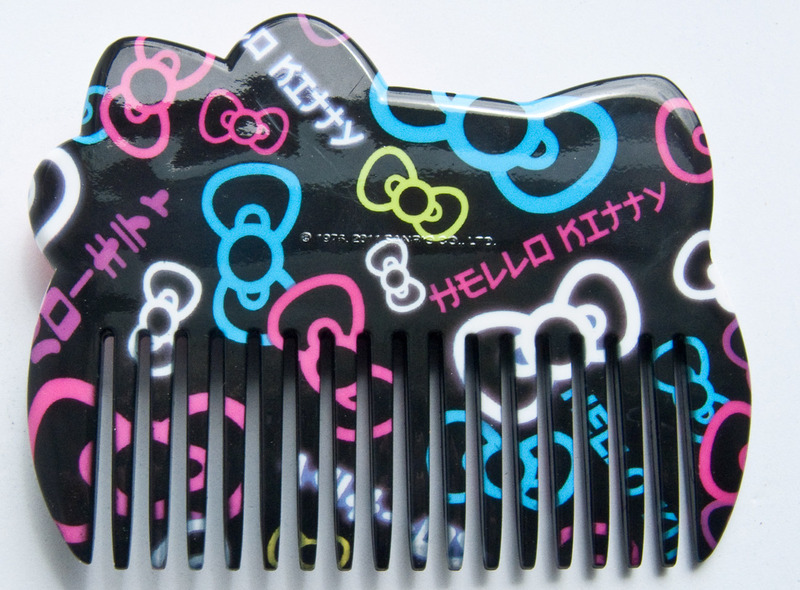 Hello Kitty Wide Tooth Comb front. Hello Kitty Wide Tooth Comb back. 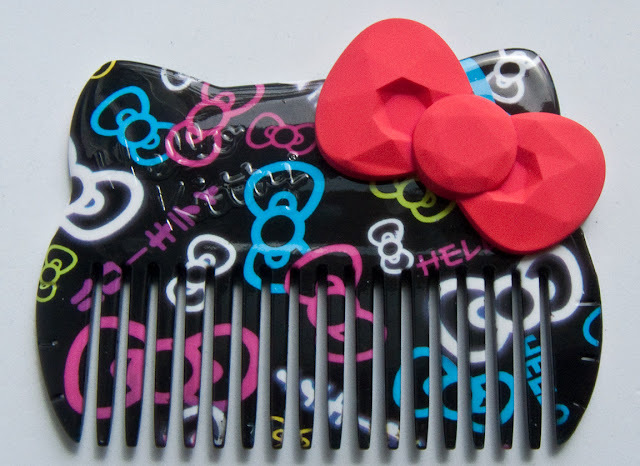 The comb is HUGE! It's not the style of tide tooth comb I'm use to using for my hair (bigger teeth more like finger size), but it's width enough to real work through ones hair. 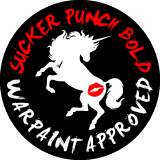 I found the cupping your finger over the rubber surfaced neon red/pink bow give the best grip. The art is a plastic layer formed over a base comb which may or ma not flack is exposed to water for long periods of time. 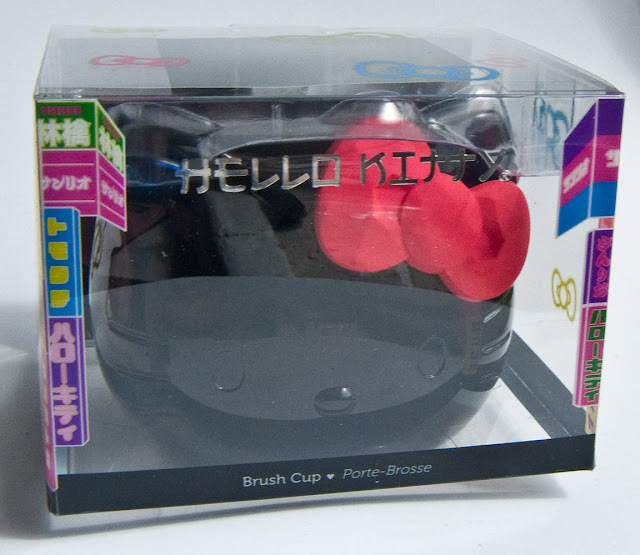 The brush cup however because Sanrio holds the moulds is based on the original brush cup from MAC 2009. 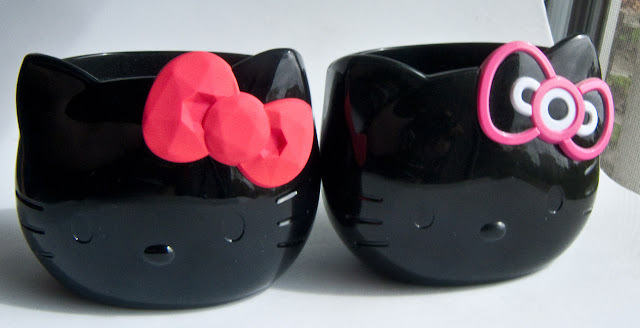 These are the exact same kitty cup with a modified box and back labelling was changed. Both cups comp with a bottom grip flocked sticker (the MAC one is nicer). But the Sephora one has flocked sticker lining the inside of the cup. I personally prefer if it was just exposed plastic as it's easier to clean out just in case something spill or gets dusty. 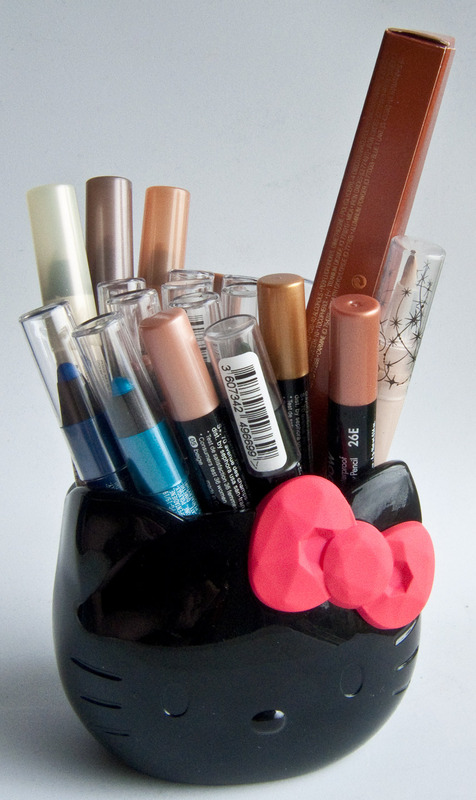 Also the MAC cup was as dark of a black as the Sephora on in terms of plastic. There is nothing revolutionary about these but if you like to have nice looking beauty tools then these will be up you alley!! !